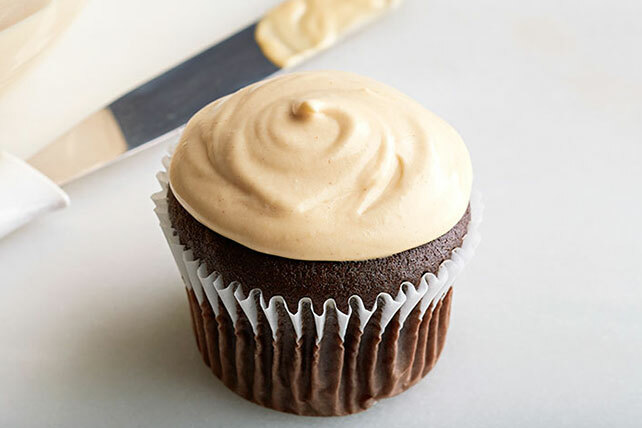 Enjoy our Peanut Butter Icing Recipe on cakes, cupcakes or right out of the bowl. Our Peanut Butter Icing Recipe combines milk, pudding and peanut butter. Add peanut butter; mix well. Stir in COOL WHIP. This easy-to-make recipe makes 2-1/2 cups frosting - enough to frost tops and sides of two 8- or 9-inch layers, top and sides of 13x9-inch cake, tops of three 8- or 9-inch layers or tops of 24 cupcakes.